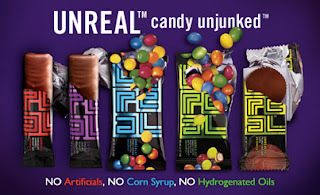 Have you heard of UnrealTM candy? Have you had the opportunity to try this product? I did recently on behalf of Global Influence, and I hosted a home party to share it with my friends, as well as a couple of my son’s friends! Unfortunately, my electronics currently hate me – my internet has been revolting against me the past couple of days, and then my digital camera died, so I’ve lost all of the photos I took during the party! No worries – I’ll still be able to share with you the goodness of UnrealTM candy! I’m a HUGE Peanut Butter Cup fan, so I have to say that Unreal 77TM is my favorite, but I also love Unreal 8TM and Unreal 5TM. 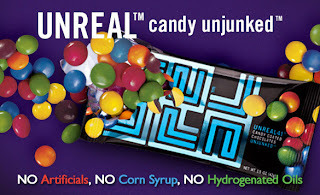 What I love most about this line of candy, is that there are NO Artificial Ingredients. Not only that, but there are NO GMOs, NO preservatives, NO Corn Syrup, and NO Partially Hydrogenated Oil. Not to mention – the sugar content is “generally” lower than the comparable products. Based on these things alone, the candy just tastes so much better, and I don’t feel “as” guilty eating some! All of my guests, as well as my son’s two friends who just “happened” to be at the party, loved these products as well! I sent everyone home with a bagful of products – one of each! – as well as shared samples while they were there. We enjoyed various appetizers as well, and I shared with them the goodness that is UnrealTM candy. You can find UnrealTM candy almost anywhere, but click here to find one near you! Disclaimer: I was sent the products named above to review. The opinions expressed above are solely my own and yours may differ. Receiving a product will NEVER influence what I write in any review. Sarah @ Family. Food. Fiesta. I've never heard of this candy! I'm going to have to check it out. I'm from California and we're trying to pass a GMO Labeling bill. This will be a great candy to promote once that bill is passed.